What is Basketball and March Madness? 1. What is March Madness? Tournament of 68 college basketball teams, in which all teams battle in a single elimination format. If you lose you are out. The last team left is the National College Athletic Association (NCAA) Division One Champion. 2. When is March Madness? 3. Why is it called March Madness? Because the early rounds of the tournament include many upsets, historically via a game winning shot as time expires. Also, because the tournament pairs larger more reputable colleges with smaller more obscure colleges, those upsets are all the more noteworthy. 4. What teams usually play in March Madness? NCAA Division 1 college programs. D-I schools include the major collegiate athletic powers, with larger budgets, more elaborate facilities, and more athletic scholarships than Divisions II and III as well as many smaller schools committed to the highest level of intercollegiate competition. Of the 68 programs receiving an invitation to the tournament, 32 gain automatic entry through winning their conference's championship (commonly through winning a conference tournament or, in the sole case of the Ivy League, the regular season title. The remaining 36 programs rely on the selection committee to award them an “at-large” bid in the tournament. 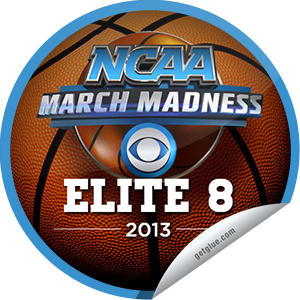 The selection process primarily takes place on Selection Sunday when the brackets and seeds are released to the public. The tournament begins the following Thursday at noon. 5. 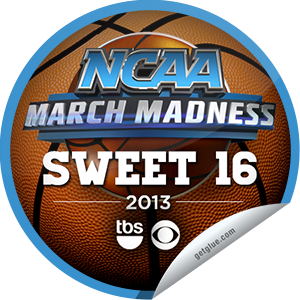 Are there March Madness celebrations? Fans gather for March Madness mostly in bars and pubs. Many bars are affiliated with a particular college, so its a great way for alumni to gather and root their team on together. Since the majority of games during the first two days of the tournament take place during a work day, many fans joke that production suffers because they are watching the games on their computers while at their desks. Streaming online service providers even create a “boss button” so fans can click on it in an emergency to hide the game and instead display a phony spreadsheet if their boss walks in to their office. 6. I have heard of fights or brawls after basketball games. Does this happen a lot? If I want to go to a basketball game, is it safe? Violence is really not a part of the basketball viewing culture. The reason for this is because fans traditionally do not tailgate before games and are therefore less driven by alcohol. 7. What kinds of foods or drinks do people have during basketball games? Common foods are hamburgers and hot dogs, while soda and beer are the most popular drink selections. 8. Is it expensive to go to a basketball game or the March Madness games? Because college basketball is usually played in arenas that reside on college campuses and whose audience consists mostly of college students, ticket prices tend to be more affordable. However, because the March Madness tournament is held at neutral locations and in arenas where professional sports are played while also catering to a corporate clientele, the prices tend to run much higher, along with a drastically inflated secondary market (ticket scalping). 9. How can I make small talk about basketball or March Madness with my US colleagues? This means, did you try to predict the victors or each game and try to guess who will win the championship. Not everyone who fills out a bracket is participating in a pool. But many do. A pool is a group of people who all fill out brackets and keep score to see who wins. Often times they bet money. Companies actually use March Madness pools as a way to improve office morale, where everyone from the secretaries to the company president compete against each other. "Who is in your final four?" The final four is considered a great achievement and is to be celebrated even if you don’t win the entire tournament. For those who fill out brackets and compete in pools, picking as many final four participants as possible is key to winning since so many points are awarded for correctly predicting them. 10. Are there any idioms or phrases people used related to basketball? The tournament brackets consists of 4 groupings. The seeding in each bracket is 1 - 16, with 1 being the strongest team and 16 being the least strong. Its a way to reward programs for their performance over the course of the season. So, you will hear a phrase like “the 10 seed upset the 4 seed today”. A joke used when saying a tall player might lack talent but he sure looks impressive when walking through an airport. A word fans use in excitement when a player on their team makes a basket and the ball doesn’t hit any of the rim or backboard, thus making a swish sound when going through the net. Author, Matt Wade, CEO of GamePlan is a thought leader in academic and career planning, a product evangelist, and a vanguard of higher education’s progressive movement.